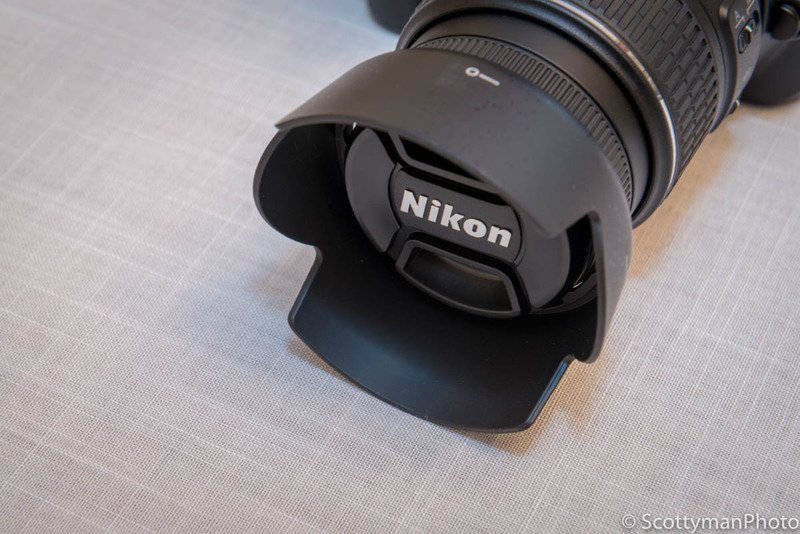 An image of a Nikon lens with the attached lens hood. What is a lens hood used for and do you need one? The proper use of a lens hood aids in reducing glare and lens flares; therefore, helping to prevent direct sunlight from entering the lens. Yes, I know you can use your hand to block the sun! Often overlooked, omitting the hood can increase the likelihood of damage to the front lens element. Additionally, with your eye in the viewfinder, it’s easy to become distracted and bump into something resulting in dings, scratches, or even a broken lens. However, this is far less likely with the use of an attached lens hood. Provides peace of mind by reducing the chances of an accidental collision. Why do I recommend this tip? Most importantly, it’s not about style; the lens hood serves a worthy purpose. However, many people make the case that a hood obstructs the view or makes the camera look bulky. Nonsense, the lens hood helps protect your gear and reduce flares; in fact, that’s the reason it was made! Also, don’t turn it around backward and stick it over your lens; a backward lens hood can inhibit proper operation of the lens. On that note, If you’re not planning to use it, it’s best to just leave in your bag.